Once every four years, the Iowa Caucus kicks off the national political season with much excitement and political fanfare. 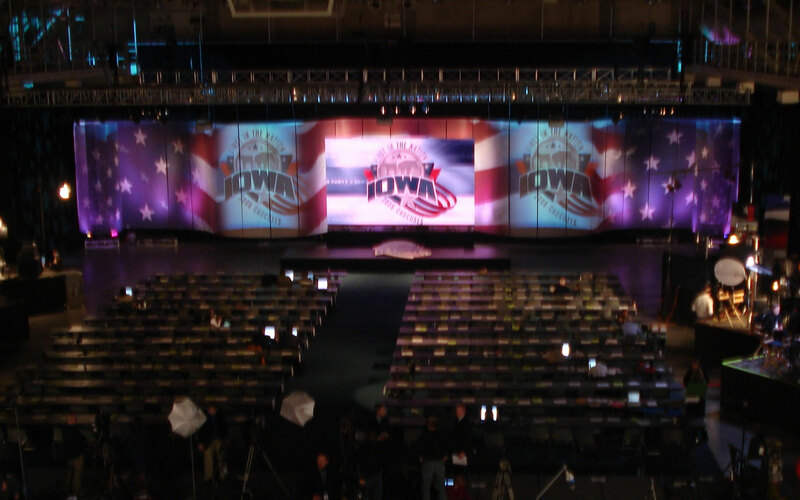 To ensure just the right amount of flag-waving and flair, they called us to set the stage for patriotism and help them plan the star-spangled event. 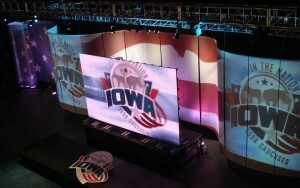 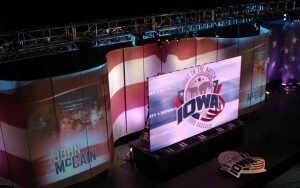 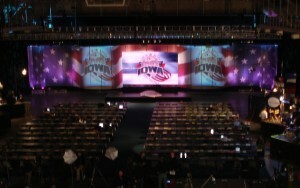 We provided a stage-size flag backdrop and video screens with all-American style.